This Page has ephemera – Scans of old printed items wil a connection to Gosport. Some I have found and other items donated by people with an interest in Gosport. 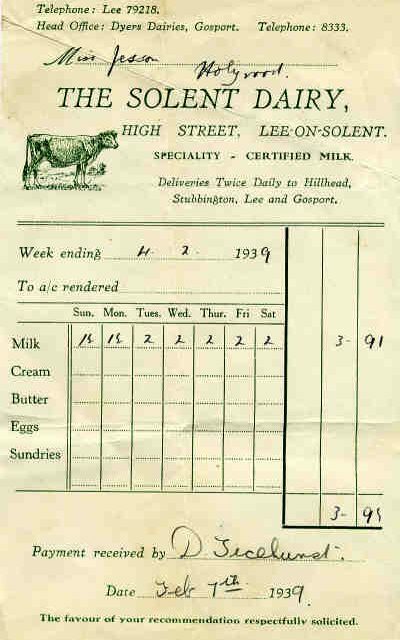 ‘…I came across this old milk bill whilst looking through some old books in a second hand shop in the West Midlands, I thought you might like it to put with old memrobilla of Gosport. I got your name and address off an internet site to do with Gosport. This was donated by Paul Harris – It looks as if the milk cost 3 1/2d per pint (I assume) 13 pints for the week total 3 shillings 9 and half pence (3/91/2) on 7th February 1930. I think where it says ‘The favour of your recommendation respectfully solicited’. I doubt anyone would ask for a recommendation today, and if they did I feel it would be done in half the number of words. 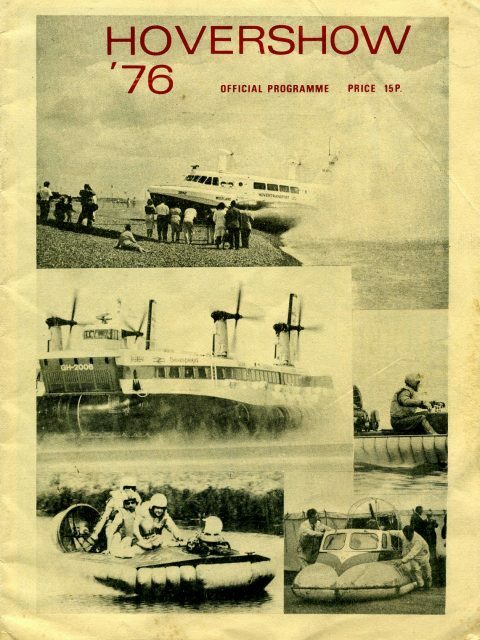 Hovershow 76 Held at Browndown Lee-on-the-Solent Gosport Hants. I attended this event so should have photos to add. Rather than add each page separately I will rescan the programme and save in.pdf.